Fastrack has rubber tyred vehicles that run on a normal road surface – no rails or special guidance system are required. 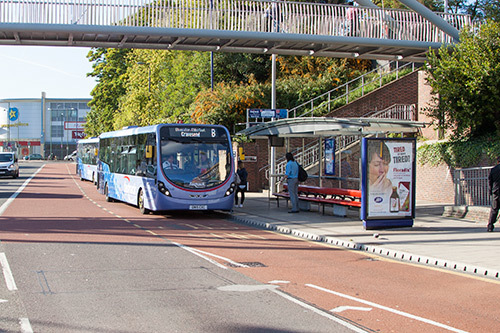 The key to Fastrack’s success is the high proportion of busways on which only Fastrack vehicles are allowed to run. In this respect it is akin to the track that a light rail or tram system would run on. A core network of some 40km is in place. Overall, half of all Fastrack routes operate on dedicated ‘track’ where no other vehicles operate, with a further 25% on specially reserved lanes alongside traffic on pre-existing roads.